In the early 18th century, mushrooms were mushrooms. Some were tasty, some were nasty and some would kill you, but they were all mushrooms. During the lifetime of Swedish botanist Carl Linnaeus, botanists began to realize that the casual terminology of the day couldn't accurately name the species of Europe, much less the discoveries in the New World. They dabbled with different approaches, often with mixed success. Linnaeus shared the frustration of many of his contemporaries at some nomenclature experiments, once remarking, "The names bestowed on plants by the ancient Greeks and Romans I commend, but I shudder at the sight of most of those given by modern authorities." He had good reason to shudder; one "formal" name for the tomato was Solanum caule inerme herbaceo, foliis pinnatis incisis, racemis simplicibus. Perhaps Linnaeus was well suited to defining a new naming convention as he lived in a time and place where people had to do as much for themselves. His father, Nils, would have traditionally called himself "son of Ingemar" but enrollment at a university required a surname. The ambitious young naturalist chose "lind" after the linden tree. Years later, after Carl had become famous, he happily upgraded his own name to Carl von Linné. As a young man, Linnaeus traveled through Lapland. By some accounts, he exaggerated the distance traveled there, and despite only having spent a few weeks among Scandinavia's Sami people, he nevertheless dressed in the Sami costume, complete with drum, when visiting big cities. But he still made careful observations not just of the geography and natural settings, but also the customs of the locals, and his thorough reports were appreciated by the Swedish Parliament. While in his twenties, Linnaeus traveled to Holland and earned a medical degree — and published several books. Still a young man, he returned to Sweden and settled down in marriage, eventually taking a position at Uppsala University. His traveling days ended with his youth; after that, his students did the traveling. Linnaeus devoted himself to nomenclature, adopting the motto "God created, Linnaeus organized." The frontispiece of the 1860 edition of his Systema Naturae featured the naturalist as Adam himself, naming all the plants and animals. Although naturalists had struggled for some time with how to best classify species, Linnaeus successfully introduced the system of classifying organisms, a system that now includes kingdom, phylum, class, order, family, genus and species. The genus and species name for any particular organism became its scientific name in this new framework of binomial nomenclature. He also adopted (but didn't originate) the practice of associating a species with a type specimen, the example by which the species is identified. His own method for determining plant species was to start with a specimen from a garden, herbarium sheet (dried plant mounted on paper) or illustration and describe it fully. After that, he collected additional specimens that represented the species. Next, he discarded the "deviants" to determine the "constant" characters. When Linnaeus first released his Systema Naturae in 1735, it was a slim 14 pages. In it, he grouped animals into the categories of Quadrupedia (four-footers), Aves (birds), Amphibia (including reptiles), Pisces, Insecta and Vermes. Vermes included worms and just about every other slimy, slithery kind of creature that didn't fit nicely into any other category. The last edition of Systema Naturae released during his lifetime (the 12th) was 2,300 pages long. Before he died, he catalogued roughly 7,700 plants and 4,400 animals. The growing list of species presented the reasonably religious naturalist with a problem, namely how everything could fit on an ark. He solved the problem by substituting an island for an ark. The Neptunistic belief in a universal ocean was popular in his day, and Linnaeus argued that the one exception to the ocean was a large island, which did double duty as the ark and the Garden of Eden. The discovery of Mount Ararat, assumed by many to be the ark's landing site, suited his purposes perfectly. It was near the equator and rose to a great height, conveniently providing all the necessary climate zones for plants and animals that had to survive some sort of biblical deluge. On more solid footing than a biblical island, Linnaeus created a naming system that could grow — a good thing considering the list of named species grows even now. Nature doesn't always obligingly organize itself into this classification system, and the textbook kingdoms at the top have recently been reworked, and DNA sequencing readjusts relationships in surprising ways, but this naming system has persisted largely intact to the present day. Three centuries after Linnaeus's birth, the savant was complemented by no one less than Akihito, 125th Emperor of Japan and ichthyologist, who praised binomial nomenclature's ability to give scientists a universal basis for taxonomy. What has also survived to the present day is the emphasis on type specimens and the practice of giving priority to the first person to name a new species. Type specimens and rigid adherence to the first name given by the first discoverer has proven to be a mixed blessing, raising questions about the accuracy of many species descriptions. In compiling his taxonomic system, Linnaeus often relied on the work of others, and he could in some cases quickly make that work obsolete. The voluminous Thesaurus of Albertus Seba became out of date about the same time it was published because it didn't incorporate the Linnaean system, and Linnaeus cited Seba's work many times. From the time it was introduced, the Linnaean system had both competition and detractors. Michel Adanson of France proposed a different system that organized plants globally, and incorporated indigenous terms to name them. (Linnaeus scoffed that many of those terms "can scarcely be pronounced by our tongues.") Buffon, meanwhile, argued that nature "advances by imperceptible nuances" that no naming system could capture. 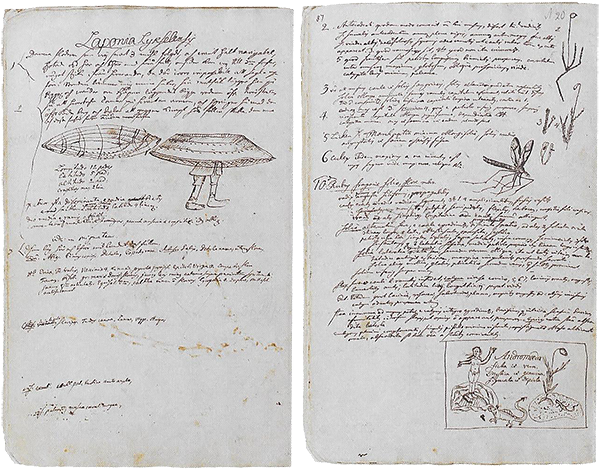 Encyclopedist Denis Diderot took offense at Linnaeus's classification of man as a quadruped. Diderot — no fundamentalist — thought Linnaeus had given short shrift to the human mind. Further, he repeated the Linnaean classification system for man to show its absurdity: Man is not a rock or a plant, so he must be an animal. Man has more than one foot, so he's not be a worm. Man has no antennae, so he's not an insect. Man has no fins so he's not a fish. Man has no feathers, so he's not a bird. Man must be a quadruped. As for man, Linnaeus concluded there were four types of Homo sapiens: europaeus, asiaticus, americanus and afer. Characteristics of Homo sapiens europaeus, as he defined the type, included well muscled bodies, silky hair, blue eyes, inventiveness, and the ability to govern with sensible laws. Characteristics of Homo sapiens afer included black skin, cunning and impulsiveness. Linnaeus clearly thought like a typical Homo sapiens europaeus; he didn't have much of a biological basis for this part of his taxonomy. Beyond these four types, he also described people in "a state of nature" (Homo sapiens ferus) and pathological types (Homo sapiens monstrosus). Belief in separate human species, and even separate human origins for different races, persisted long after Linnaeus died. "Who would have thought that bluebells, lilies and onions could be up to such immorality?" sniffed academician Johann Siegesbeck, who went on to describe Linnaeus's binomial nomenclature based on plants' naughty parts as a "loathsome harlotry." But Linnaeus had the last laugh; he named an ugly little weed Siegesbeckia orientalis. Today, naming an unsavory organism after someone you want to insult is considered bad form, so only a scientist such as Quentin Wheeler — a self-described life-long Republican and admirer of beetles that ingest slime molds — could, for example, name three slime beetle species Agathidium bushi, Agathidium rumsfeldi and Agathidium cheneyi. Linnaeus was an interesting man. Though he wrote a number of useful books on plant classification that would make botany possible "Yes, even for Women themselves," he kept his own daughters semi-literate, wanting them to be good housekeepers rather than uppity bluestockings. Then, as now, women did most of the cooking, but when Linnaeus (a sort of 18th-century foodie) packed lecture halls on food preparation, women weren't invited. He adored his pet raccoon Sjupp, who had an affinity for "eggs, almonds, raisins, sugared cakes, sugar and fruit of every kind," who mugged students carrying such treats, and who never forgave anybody who refused him anything. 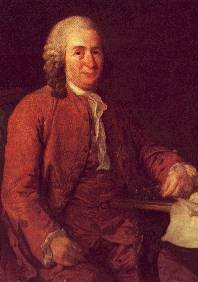 But after a dog mauled his beloved pet to death, Linnaeus promptly dissected it. And though the image-conscious Linnaeus later credited a sudden flash of insight, binomial nomenclature was the result of long painstaking work by Linnaeus and — especially — his young, poor students, whom he often employed as industrial spies. Perhaps the least lucky of Linnaeus's disciples was Daniel Rolander, who found coveted cochineal specimens in Surinam. Used to make brilliant red dyes, the insects lived on and ate a New World cactus. Rolander lovingly tended his prize on the long voyage home, and delivered the insect metropolis to Linnaeus's greenhouse. Alas, Linnaeus was out and his gardener, in the words of historian Amy Butler Greenfield, "knew a grubby and infested plant when he saw one." Linnaeus didn't return home until after the gardener had removed and squashed every last bug. Linnaeus suffered a migraine, but fared far better than Rolander, who went completely mad. Most of Linnaeus's other ventures turned out better. He enjoyed lucrative positions as a governmental advisor. He and some friends established the Royal Swedish Academy of Sciences in 1739, an academy that remains influential in the 21st century. He recommended that his gravestone read, "Prince of Botanists." And he didn't give up on making his homeland a rich source of natural or transplanted natural resources. He therefore devoted himself to the unrealistic goals of cultivating Asian and American cash crops on the Arctic tundra, and culturing freshwater pearls in Lapland river mussels.